This is a sponsored post brought to you by Frisch’s Big Boy. All opinions are my own. Who doesn’t love a fish sandwich? 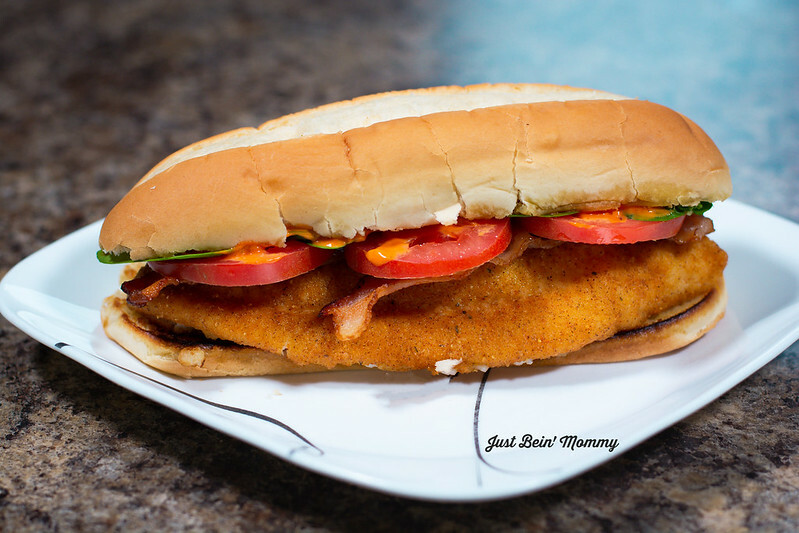 I’ve been trying to make a delicious fish sandwich that the family will love but struggling to thing about how I wanted the fish cooked or what toppings to put on it. My kids are a little weird about “fishy” fish so we stay away from those. I did realize that both boys love fried catfish. Making a catfish sandwich was prefect. Everyone can make the sandwich the way they loved it. Especially with the spicy tartar sauce. Did you know that Frisch’s Big Boy now has a spicy tartar sauce? 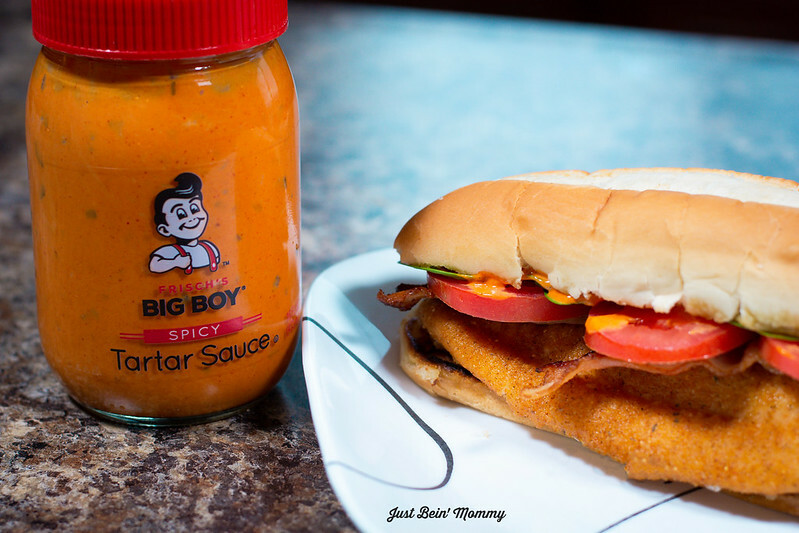 We topped our sandwich with this spicy tartar sauce and it was perfect! You can find a Frisch’s near you… there are a couple located here in Columbus. When making this sandwich, add your favorites. We love bacon , so that was a must! Let me know if you add something you love. Coat catfish in cajun breading making sure it is fully covered. Shake off excess. Heat to medium high. Once warm, add catfish in single layer and fry until golden brown, about 5 to 6 minutes, depending on size. While fish is cooking, butter each side of the buns and lightly brown on a skillet. Smear toasted bread with Frisch's Big Boy Spicy Tartar Sauce. Don’t miss the recipe video below and again, make this recipe your own! You know what you love on your fish sandwich!